The spectacular looking 2007 model Isuzu Highlander is now in our showroom and ready to be exported to your destination of choice. It is beauty in motion and gets attention wherever you take it. 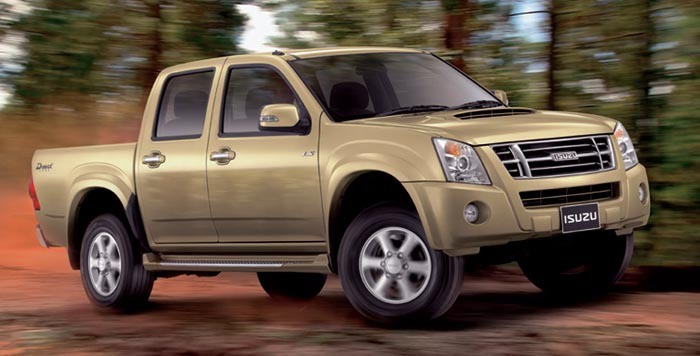 It is an all-purpose workhorse, equally comfortable in a factory or a night on the town. It does not shy away from factory or farm work but looks sleek in an executive's hand as well. Its beauty and styling are remarkable. All new luxurious interior! Ambience, comfort, convenience, ergonomic design and roomy layout…the new Isuzu-Highlander has it all. New! Breakthrough in engine development. New! And available in many models. Newly developed with Fuel Cooler to decrease fuel temperature. Better efficiency, better power and longer pump life will be realized with this addition to your fuel system. New Evolution! The Projector Front Head Lights*. All new Universal Design! Ambience, comfort, convenience, and ergonomic design. New! Breakthrough in speed development “MUX**” Manual gear with the Load Reduction Constructor. Super Fail-Safe System, to analyze and prevent engine problem the sbest working at specific point. Color key side step board* with rounded edge Stainless Steel and Anti-Slip Rubber. ***in Rodeo LS 3000 Ddi. New meticulously designed seat and side door with the sporty gray fabric which matched the interior color, creates off-road style..
High affiance and ability to climb step path. New Developed! Most elegant, most durable, most gasoline savings. *in SLX** selected variants only. 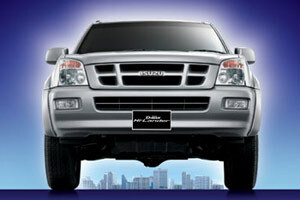 Isuzu DMax, since its introduction in May 2002, has been Thailand's best selling pickup. 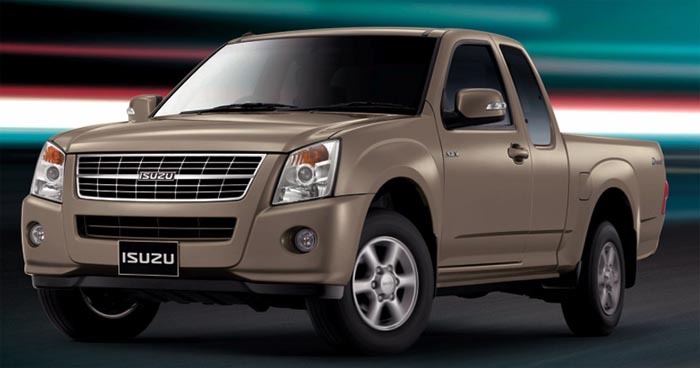 Only now Toyota Hilux Vigo's runaway popularity and Mitsubishi L200 Triton's gradually rising popularity have threatened to take Isuzu's crown away, but Isuzu is trying hard not to cede any ground. 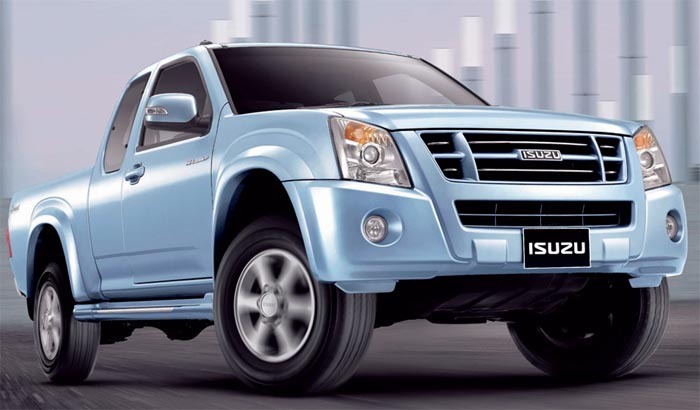 Isuzu is among Asia's best three commercial vehicles category. 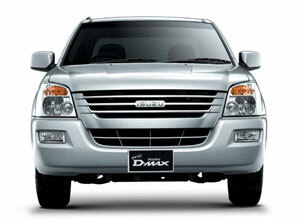 No company has the experience and expertise of Isuzu in diesel engines. In 2003 alone, it manufactured a whopping 16 million diesel engines. It swells your heart each time you see it there, waiting to pick you up. 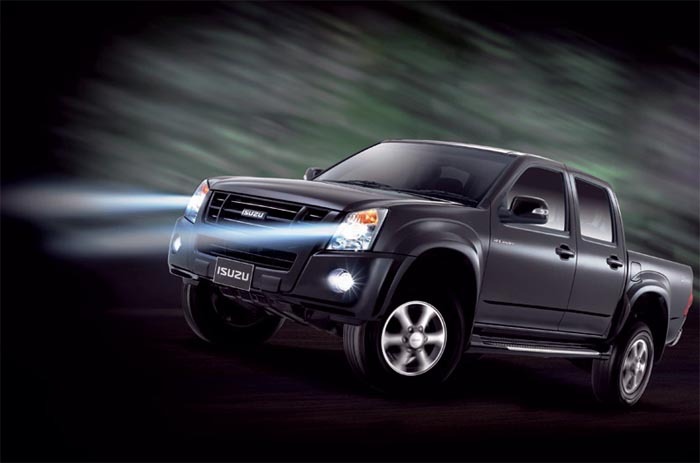 You're not too proud to notice, though, that your Isuzu D-MAX draws attention wherever it goes. Must be the slick styling that just looks right in any setting. You can't honestly expect others to know that this tough yet stylish pickup is the crowning achievement of almost nine decades of engineering evolution. That it's packed with innovations that have all been proven the hard way: during endless testing in every conceivable driving condition from desert sands to frozen tundra. 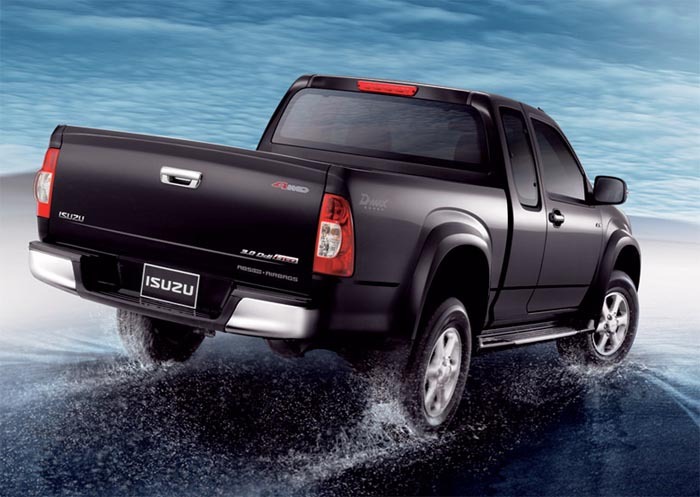 All anyone really needs to know is that the new Isuzu D-MAX pickup is capable of expanding upon the Isuzu tradition for tough durability, balanced design, and keen attention to detail. All that becomes apparent with your first close encounter. It did it for you then in a big way, and has continued to light your fire ever since. 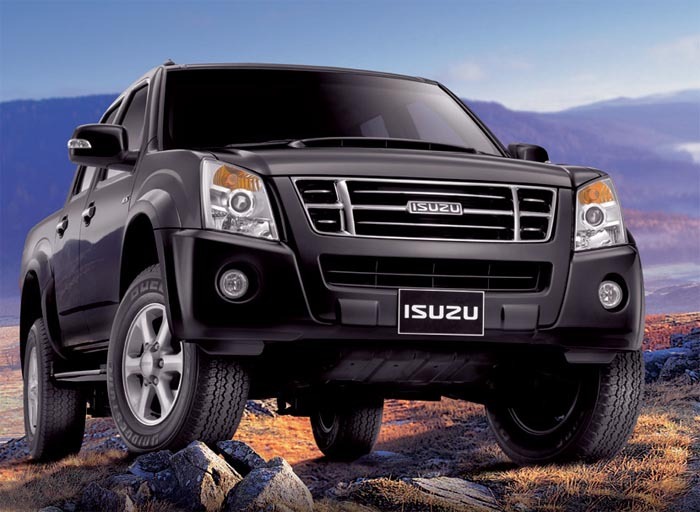 Work it hard or cruise it easy - Isuzu D-MAX makes things happen. 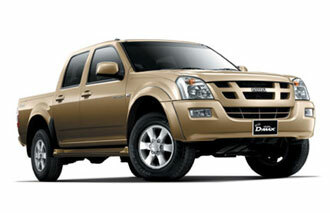 Isuzu D-max Cab 4 completely satisfy all customers needs with variety of models. 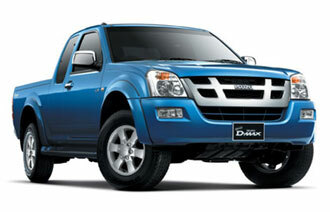 * Isuzu D-max Cab 4 SLX 3,000 cc. A sport utilities 4 doors vehicle for the next generation with unique and luxurious design. 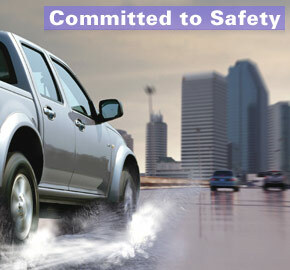 Completely serving all needs with automatic and manual transmission, ABS with EBD and Dual SRS Airbags (optional). 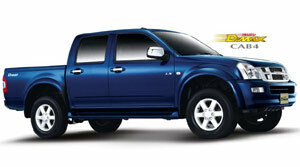 * Isuzu D-max Cab 4 LS 3,000 cc. A 4x4 sport utilities vehicle for a modern life and off-road style Completely serving all needs with automatic and manual transmission, ABS with EBD and Dual SRS Airbags (optional). 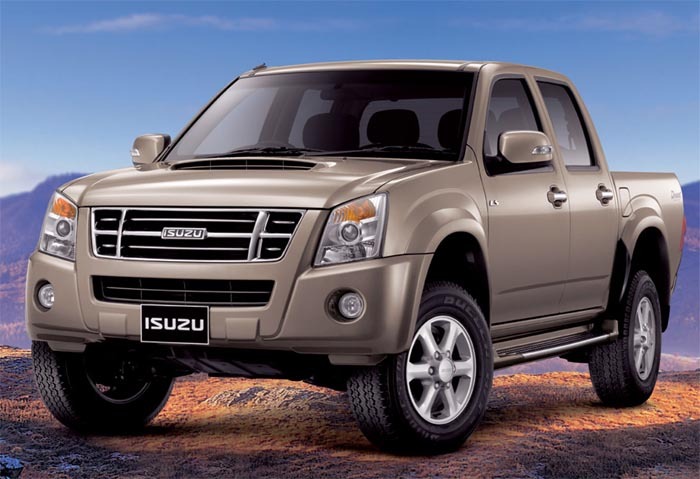 * Isuzu D-max Cab 4 SL 2,500 cc. with manual transmission and power-assisted steering. The Isuzu D-MAX is justified in boasting about creating an ideal balance of aerodynamic exterior styling that's elegant in any setting, with the kind of useful practicality that makes your life so much easier. 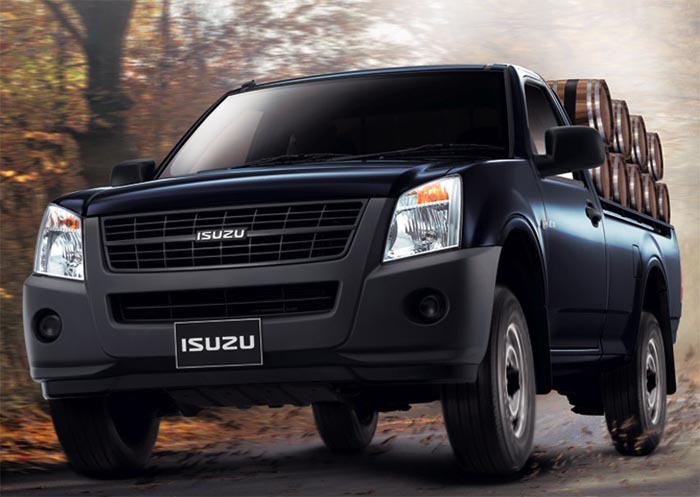 With a surprisingly spacious cabin, plus interior comfort comparable to that of a high-grade saloon, Isuzu D-MAX sets new standards for one-ton pickups. The monographic overall design emphasises a futuristic yet highly functional instrument panel with intelligently placed gauges and controls. 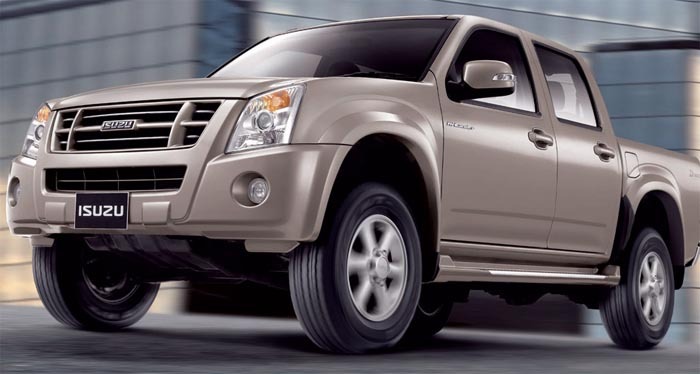 The cabin of the Isuzu D-MAX is a very safe place to be, thanks to a variety of features specifically designed for occupant protection. Body construction boasting a reinforced chassis frame with front and rear crushable zones, reinforced centre zone, door beams for all side doors, and reinforced front bumper, maximise all-direction impact absorption. Adding to occupant protection is a collapsible steering column, standard front and rear 3-point ELR seatbelts and front-occupant SRS airbags. 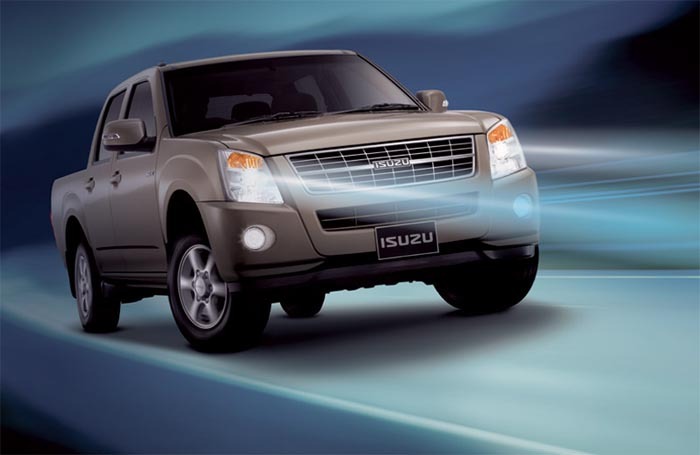 Active safety features, which help drivers avoid accidents, include ABS brakes and high-mount sbest lamp. Other features making your drive a safer experience are larger windshield and front wipers, brighter headlamps, and child-proof door locks, plus a comfortable, ergonomic cockpit with high-legibility meters and comfortable seating for reduced driver fatigue. 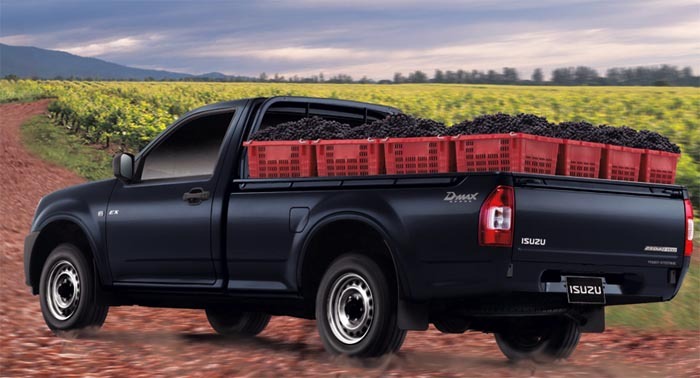 Isuzu D-MAX's cargo bed works hard so that you don't have to. Generously endowed length- and width-wise, and with its depth increased to a full 480 mm*, the cargo bed is highly practical as well as recreationally versatile. 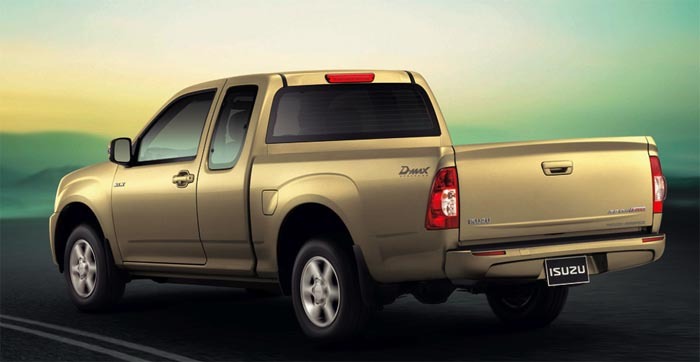 Spacious for utility and double-walled for strength, the Isuzu D-MAX cargo bed will handle with care whatever you ask of it. Horizontal and vertical indentations on inner walls of the Crew Cab serve as dividers and supports to maximise cargo bed utility. Use planks or other dividers to efficiently separate and contain your cargo or recreational gear, for more fun in less space. Isuzu D-MAX's unique 4WD system could not be easier to use: three transfer modes, controlled by buttons conveniently located in the centre of the instrument panel, cover all conceivable on- and off-road driving conditions. 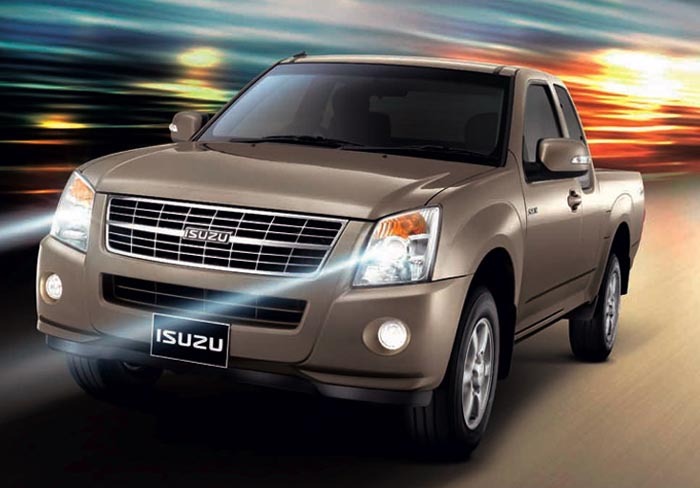 Pushing the 2H and 4L buttons simultaneously instantly puts the Isuzu D-MAX into "Neutral mode." GVW 2650/2750 Kg. 2650/2750 Kg. 2650 Kg. Standard options. A/C & Power strng. A/C & Power strng A/C & Power strng. GVW 2650/2750 Kg. 2650/2750 Kg.